I had been looking forward to this event ever since the day it was announced by Stratstone. 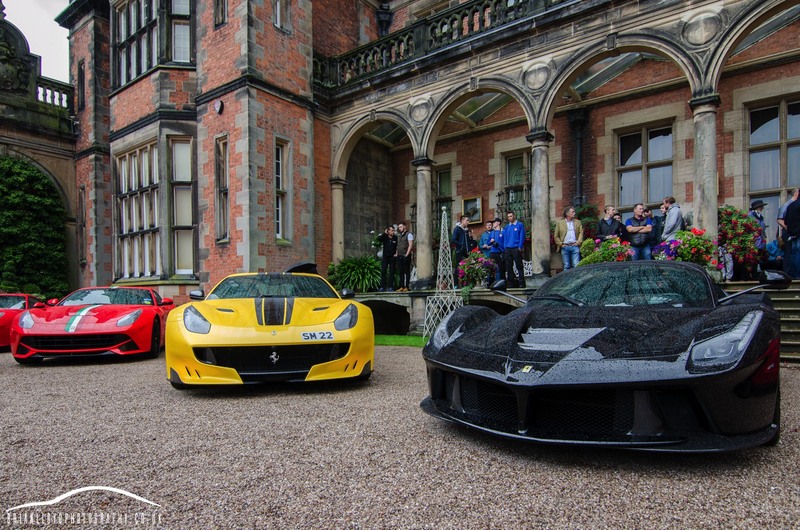 The idea of 70 Ferrari's displayed at the beautiful Capesthorne Hall was very exciting. Even better that Capesthorne is only a 5 minute drive for me so everything was set for a great afternoon! The weather in the morning was not looking good at all with torrential rain until just after lunchtime. 1pm came and I couldn't wait any longer so headed over to Capesthorne. The rain had stopped and the sun had come out so all was well! I arrived well ahead of the crowds with only a few people around the main driveway of the hall where all the really special cars where displayed. I couldn't believe my eyes when I walked onto the driveway! 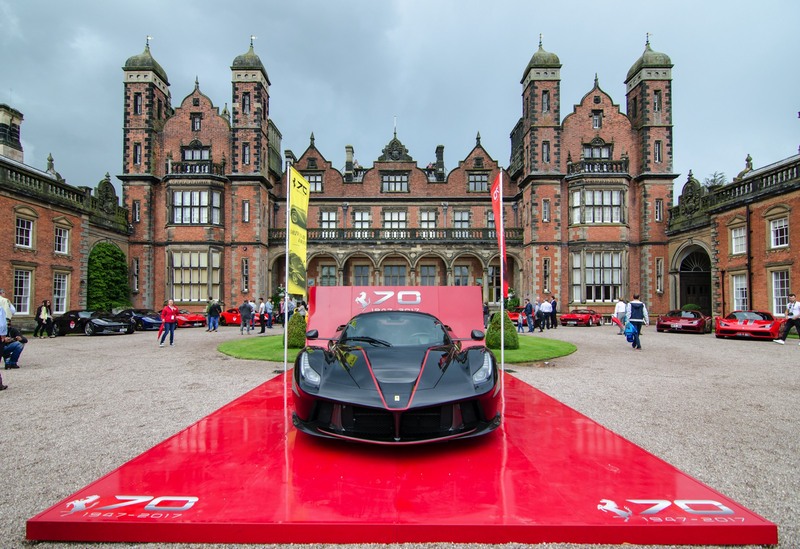 Near the front gate were two red LaFerrari Apertas and taking centre stage was the black Aperta that had been leading the 70th anniversary celebrations up and down the UK. 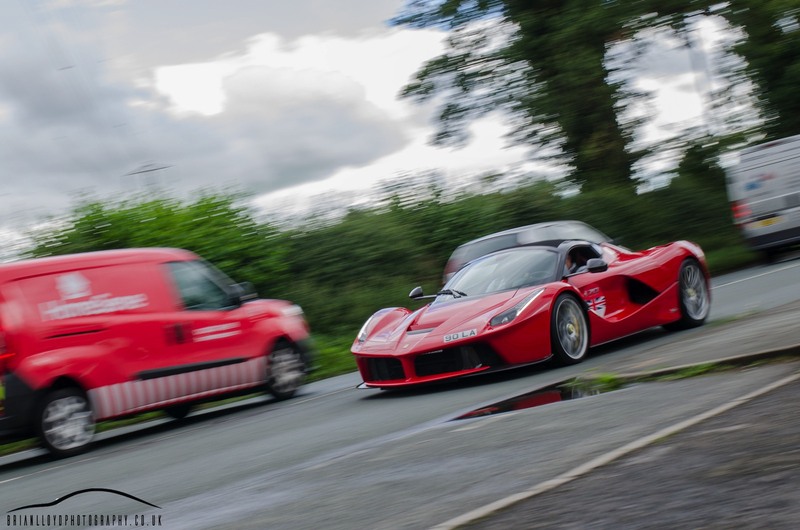 As if that wasn't enough right in front of the house was a black LaFerrari coupe, an Enzo, F12 TDF and a stunning 599 GTO! Not forgetting the many 458 Speciales, F12s, GTC4 Lusso and lots more. Even an appearance from YouTuber MrJWW's 458 Speciale. After snapping away at most of these amazing machines the heavens opened again so I made a run for the car and made a start on editing a few preview photos for my Facebook page. On the way back I bumped into a friend Phil, which was a nice surprise. We headed back over and the crowds had really built up now despite the weather. Getting shots became more and more difficult with the crowds so I was glad I got there early to get some nice clean shots before the crowds. I spotted the official photographer had a step ladder for some elevated shots so I couldn't resist going to have a chat and ask could I use his ladder which he kindly agreed to. Managed to get this shot that shows how busy it got. So after walking around and taking in the atmosphere of this amazing event it was almost time for the parade. 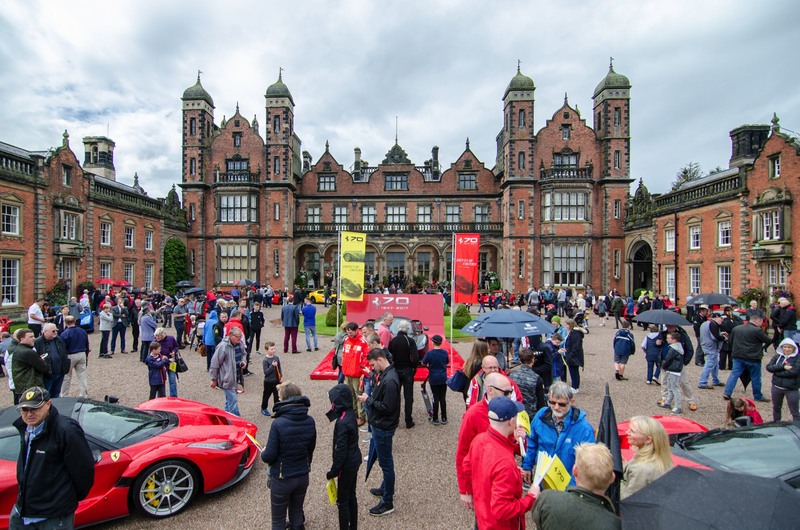 The 70 cars taking part were planning to drive in convoy from Capesthorne Hall to the Ferrari showroom in Wilmslow, a drive of about 8 miles. 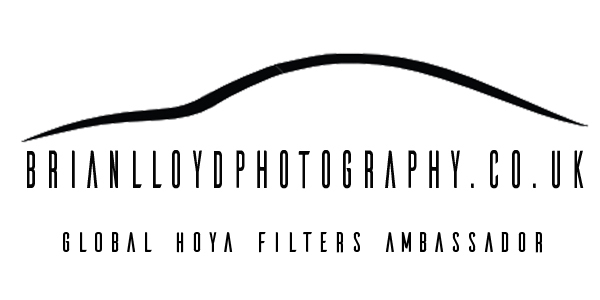 I headed out and set up by the side of the road to watch the parade come past and hopefully catch some tracking shots of the cars in motion. 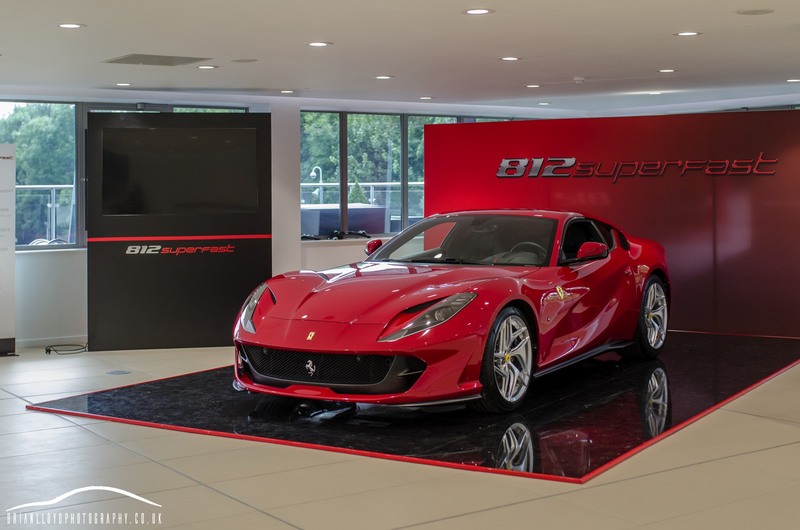 Even though the convoy had left Capesthorne Hall the Ferrari owners had a dinner party to attend at the showroom and the unveiling of the 812 Superfast that night. This meant the car would still be there the next day and Ferrari allowed us to take some photos of the car before it left on its travels again. The Superfast is a simply stunning car in the flesh, one of the most amazing looking new Ferraris I think I've ever seen! The photos don't really do it justice but I'll try anyway..